Refined, flavoursome, with an intense and pervasive taste on the palate, Prosciutto is made from the most prized part of the pig: the hind leg. Each stage of preparation calls for experience and dedication to obtain a product of absolute excellence. 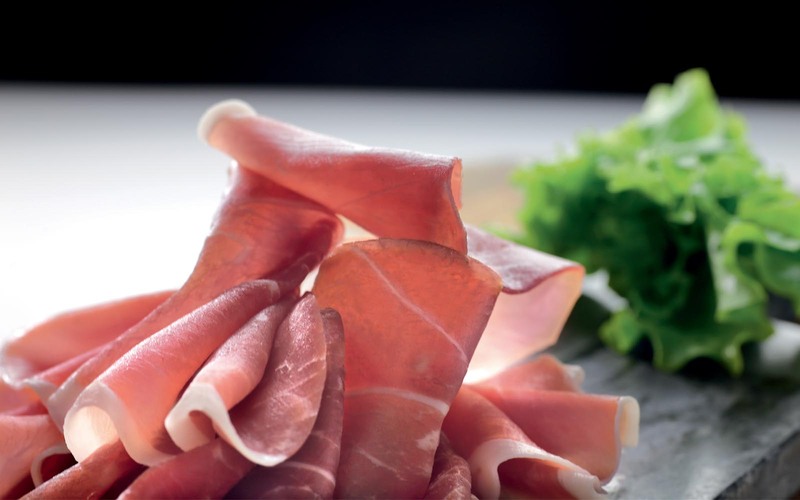 Our prosciutto is made from the hind leg of Italian heavy pigs from our production chain, with their lovingly selected lineage and carefully controlled diet, combined with our patient attention to detail throughout each stage of the preparation process. Thanks to this approach, our prosciutto is of outstanding quality, unchanged through the passage of time, and immediately evident in the intense aroma, deliciously sweet flavour and distinctive pink hue of the meat. 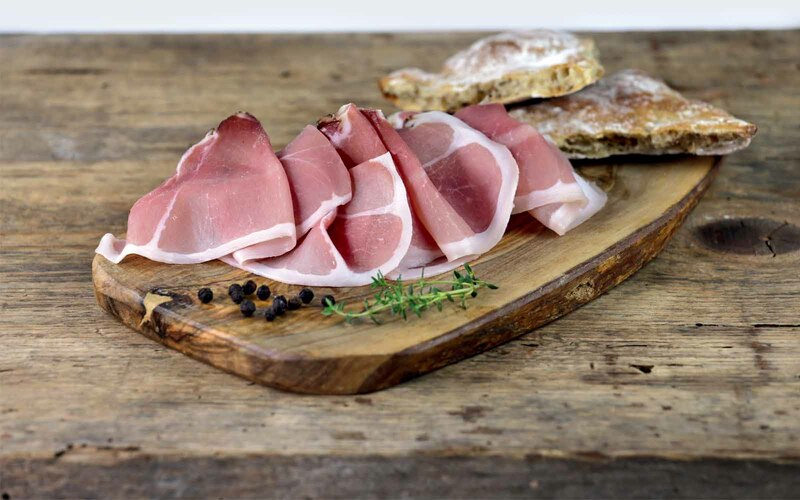 Speck is made using choice ingredients obtained through slow-paced working of the finest Italian pork. From trimming, massaging in of the cure and spice mix, to the smoking stage, each procedure is performed slowly and carefully. Each stage of the process is meticulously checked and conducted in compliance with the traditional techniques.